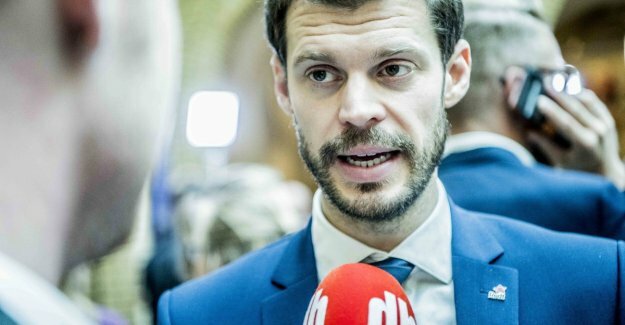 - We are the sharpest opponent of the government's bourgeois politics and puts Norwegian interests in front of Brussels, in contrast to what Støre and Ap-the management does, " says Red leader Bjørnar Moxnes of the TV 2. - It is well our best measurements ever, so now we allow ourselves some soft drinks, he continues to the channel. SV also makes it strongly on the same measurement and get to 8.8 per cent. Progress happens at the expense of the Labour party that goes back by 1.4 percentage points to 25.5 per cent and the centre party that gets a decline of 1.6 percentage points and ends with a commitment for January to 10.4 per cent. The same measurement is also a bright spot for the Sector that will receive 4.1 per cent of the voters and thus are over the threshold. At the same time punished the Left. They lose 1.1 percentage points and is supported by 2.5 per cent of the voters. It is pretty stable for the Right with a support level of 23,6 percent after a small decrease of 0,56 percentage points. The same applies to the Progress party, which gets a turnout of 11.7 percentage points after a slight decline of 0.3 percentage points. Borders has interviewed 986 persons to the poll. Margin of error is between 1.4 and 2.8 percentage points.